Miki Nachmani, VP, Business Development and Esida Selfo, VP and Portfolio Manager recently attended a Women in Philanthropy event. 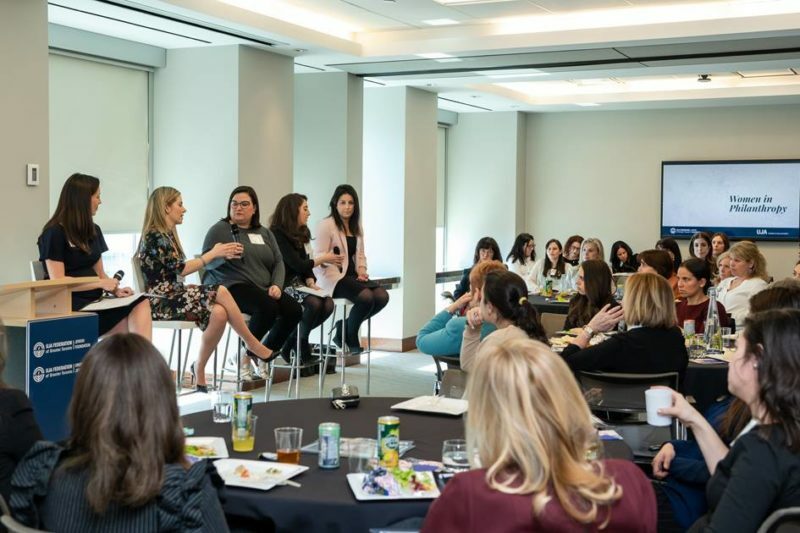 It was overwhelmingly successful, hosted by the Jewish Foundation and UJA’s Women’s Philanthropy group featured an inspiring and in-depth discussion about women, philanthropy and the changing donor landscape. A panel of accomplished professional women spoke to a room of their colleagues and peers about the growing role women are assuming in making decisions about philanthropy and where to direct their families’ charitable dollars. A huge thank you to the moderator, Emily Ben-Haim, and to panelists Sarah Brown, Marni Pernica, Ali Spinner, and Karen Werger, as well a special thank you to Aird & Berlis LLP for the use of their beautiful space.